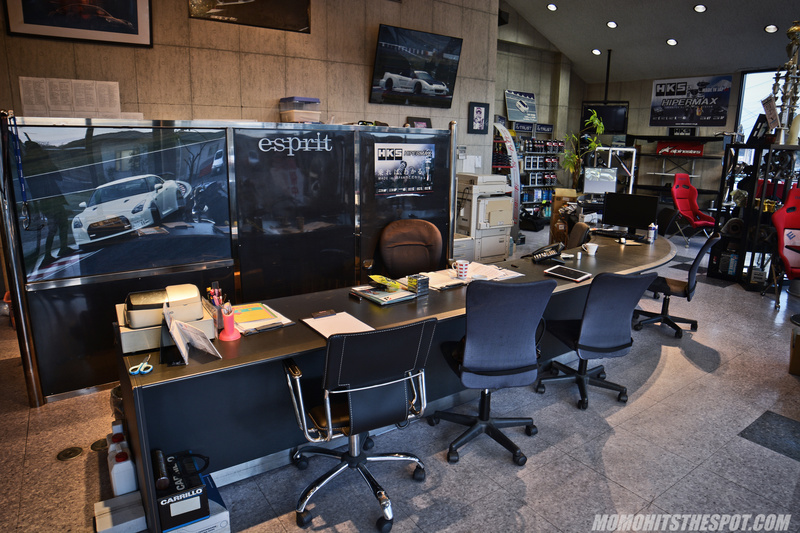 MoMo Hits Up Mie Prefecture Powerhouse: ESPRIT – MoMoHitsTheSpot! 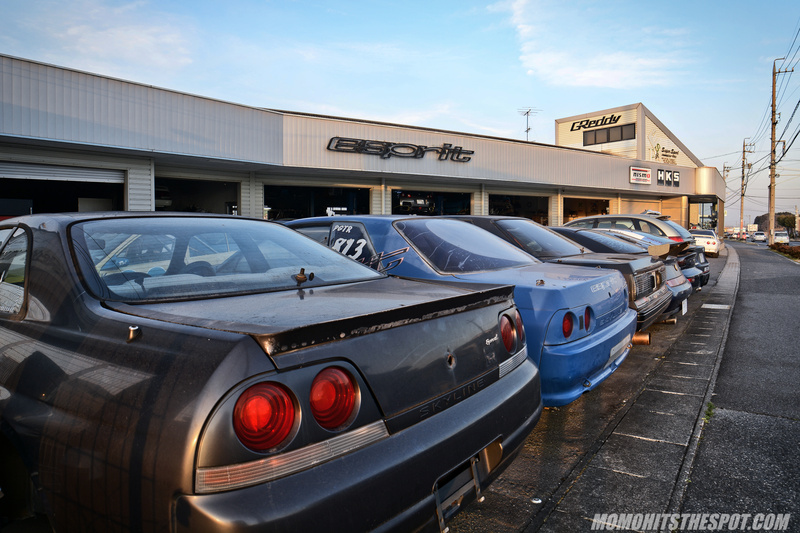 After visiting Pro Shop Fukuoh, I had originally decide to hop over to Kyoto to do a bit more exploring, but I realized at the last minute that I was pretty close to Suzuka, so I ended up hopping on the local train to pay a visit to the renown tuning house, Esprit. 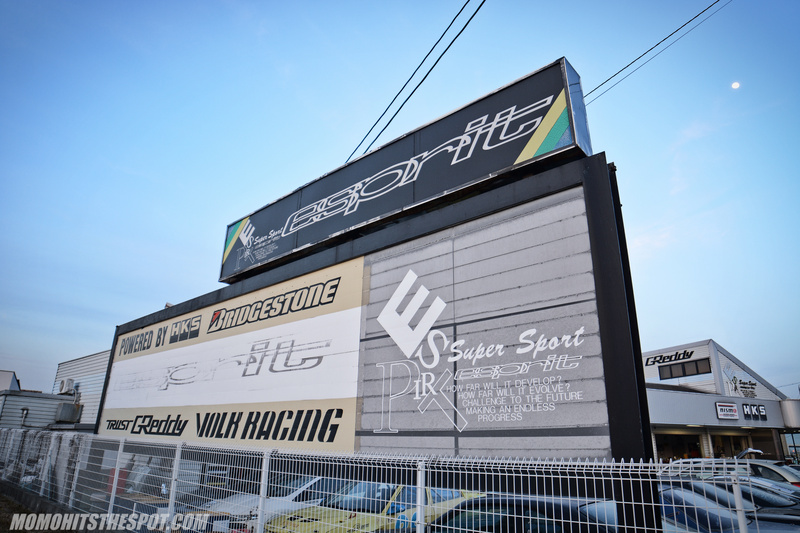 Situated within walking distance to the famed Suzuka Circuit, the name Esprit is synonymous to not just time attack but motorsports in general and its become one of the top dogs in building some of the fastest as well as visually appealing cars in all of Japan. 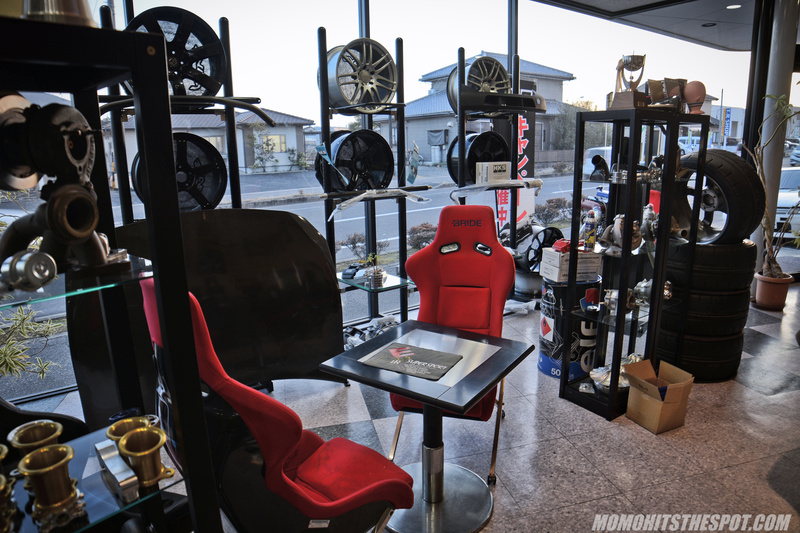 I was pretty excited to check out Esprit in the flesh because of its reputation in the tuning industry and the fact that not a lot of car enthusiasts come this way, so you don’t get to see a lot of photos and info regarding this shop. 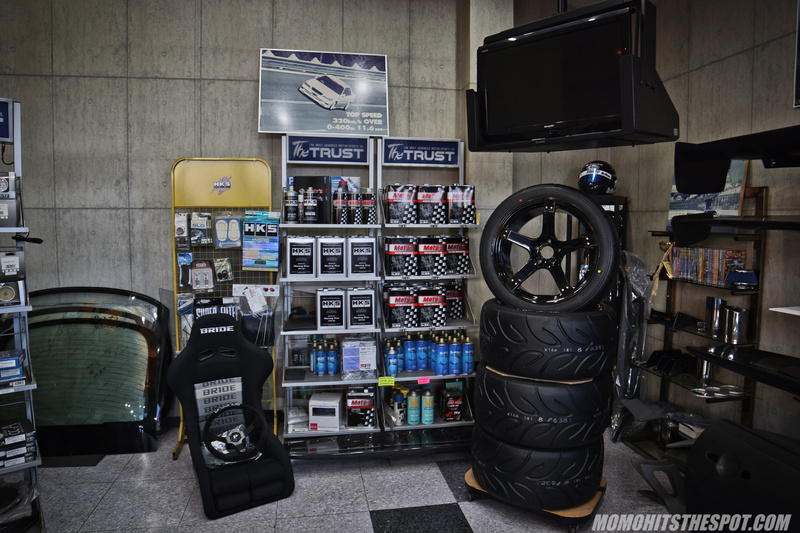 The shop and garage area is definitely a lot bigger than the usual hole in the wall tuning houses. The front lot is pretty much littered with cars everywhere as you can see. Their GT86 demo was sitting outside the sleek garage for a nice photo opportunity. 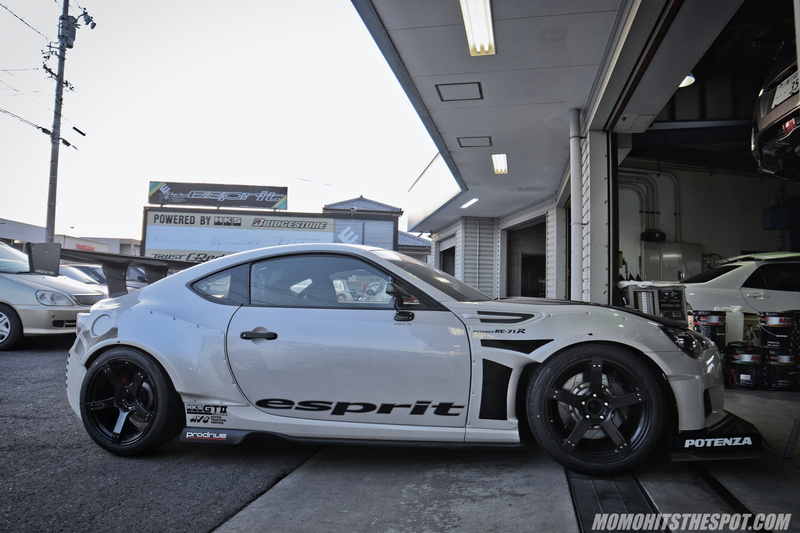 Along with their NSX, this turbocharged 86 has been making its rounds in circuits around Japan. 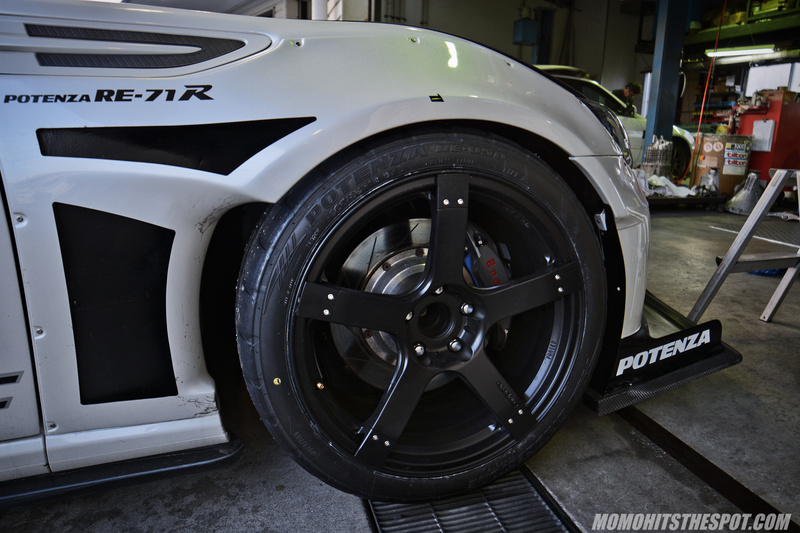 This car has got a nice mixture of Esprit dry carbon products as well as the Rocket Bunny V1 kit which is a breath of fresh air because usually RB kits are plastered on some stanced 86s… replicated ones at that. 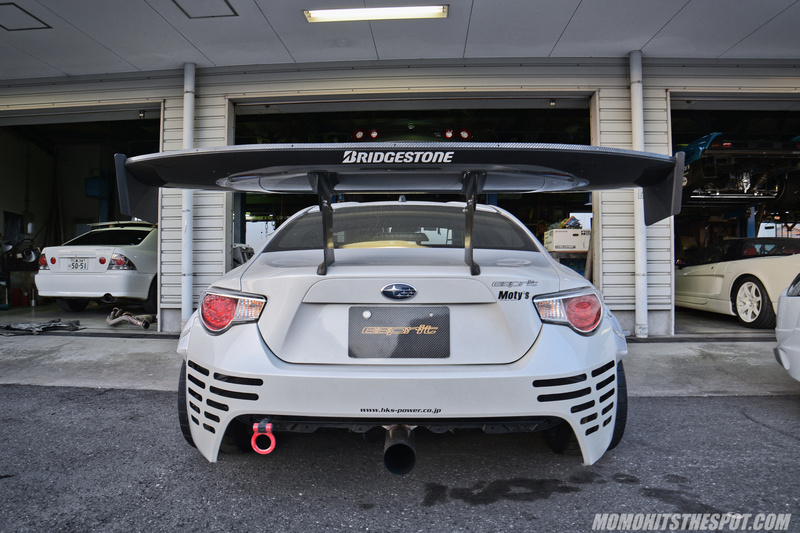 A modified rear bumper and the dry carbon GT wing translate to a nice and aggressive backend. 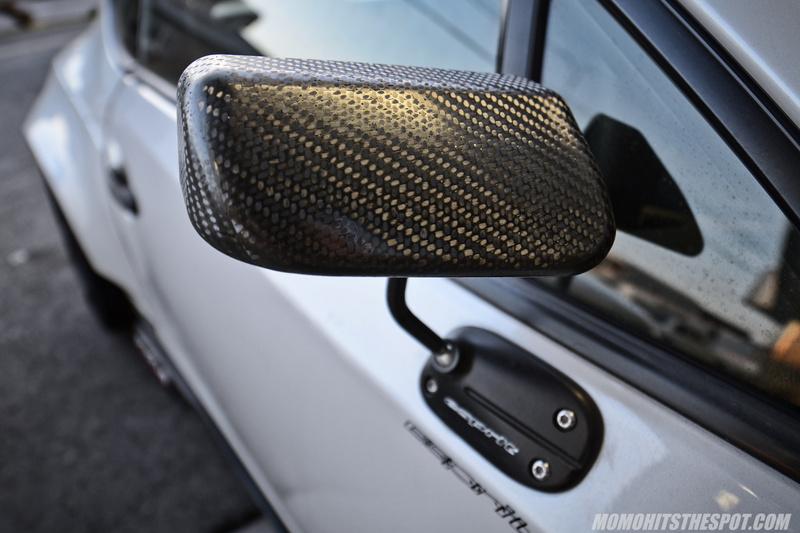 $530 dry carbon side mirrors in case you were wondering… probably a shorter wait time than Craftsquares. I’m not the biggest fan of the Prodrives but I guess it doesn’t look too bad on here. 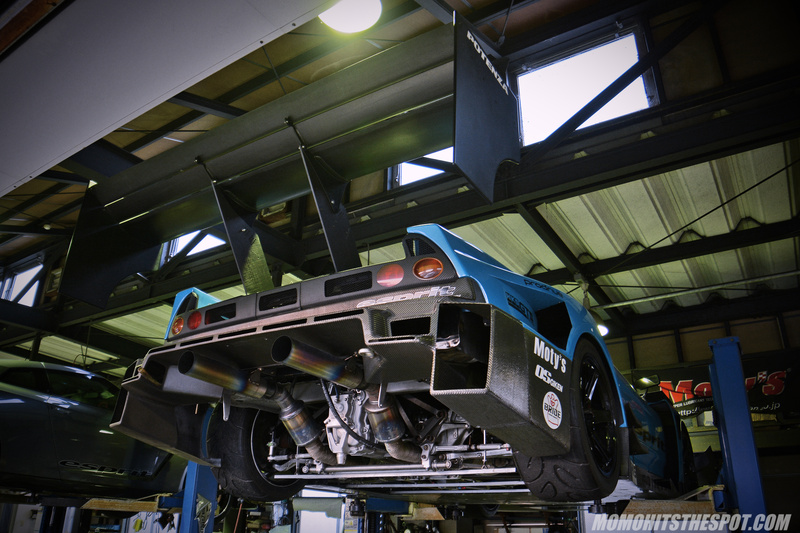 Unfortunately their time attack NSX was up on the lift during my visit, but I did get a good glimpse of its undercarriage! 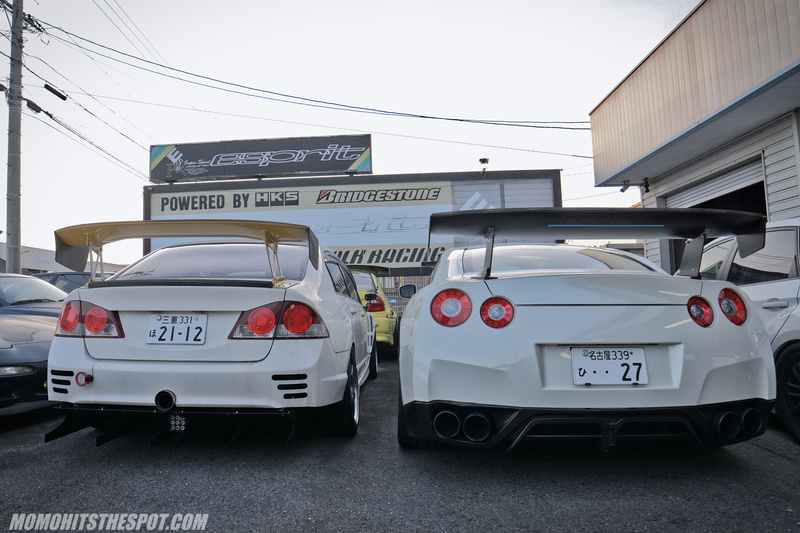 A closer look… I can only imagine the symphony that resonates from the dual titanium exhaust pipes at wide open throttle! 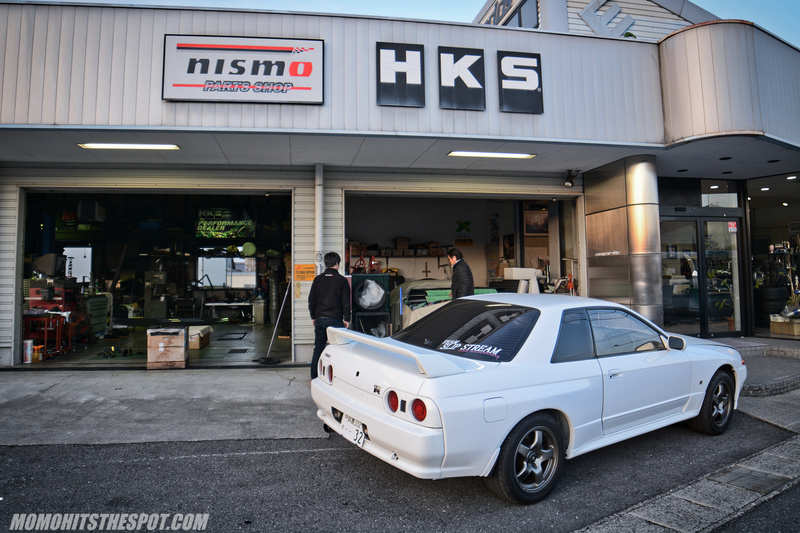 A clean R32 GTR was sitting outside the front entrance… literally a pristine, basically bone-stock unicorn. 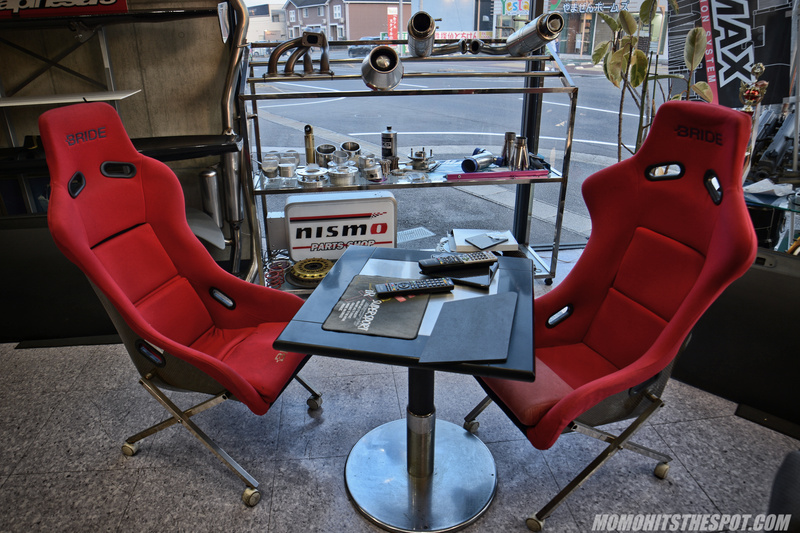 Inside the shop was the typical waiting area… although this is a bit more fancy than some other shops I’ve visited. 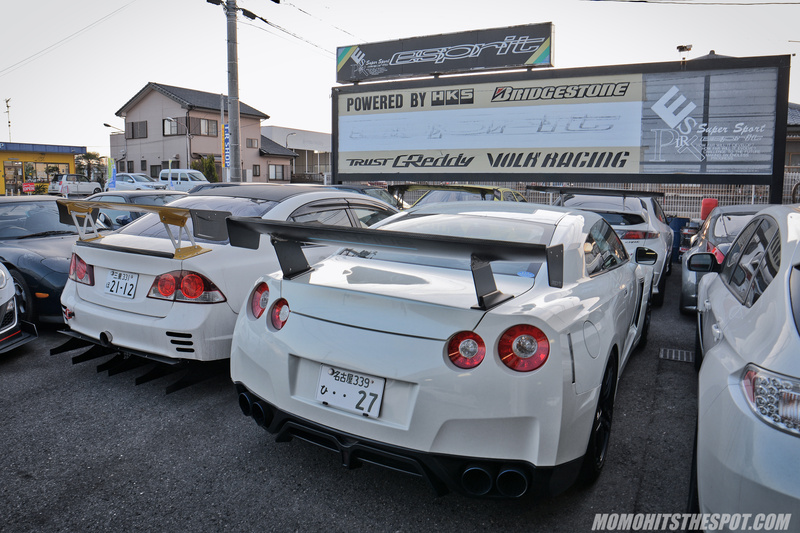 I’d say this is on par with Type One but not quite ASM Yokohama. Bride Zeta II office chairs are a must for any high end tuning house. 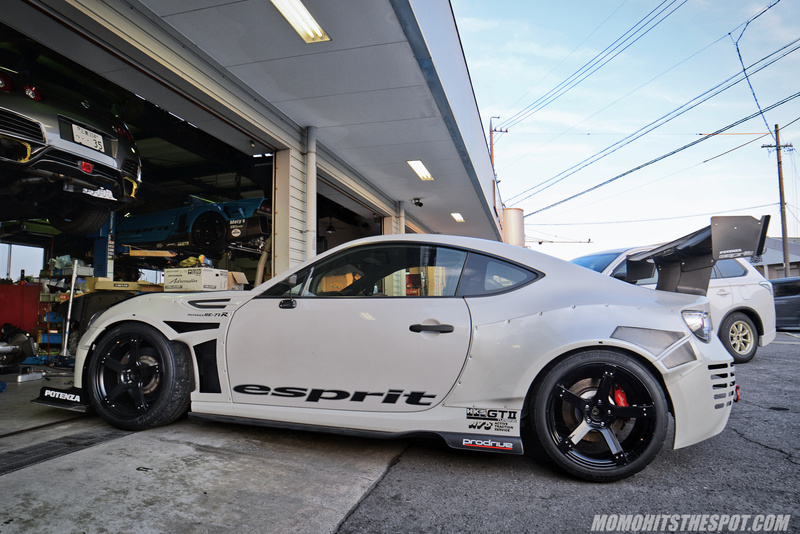 Dry carbon is a big part of Esprit’s business and they churn out some pretty high quality products. One more shot of the garage area. It looks a little messy but it’s actually quite clean for the most part compared to others. 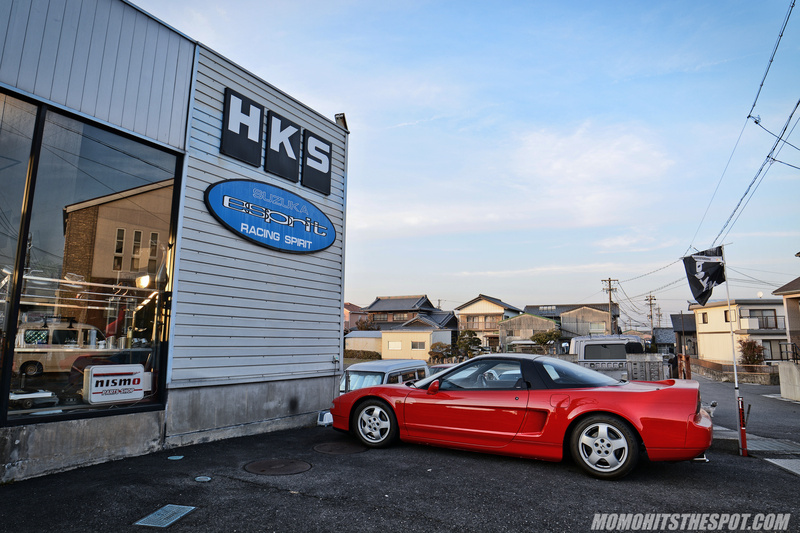 So there you have it, another short but sweet visit to one of the top tuners of Japan. I have one more stop from my Japan trip, so be sure to stay tuned for that! Until then, enjoy this post!